Many of our customers often require some type of treatability study when they look to us for wastewater treatment solutions. This type of study or testing determines how wastewater might be treated, helping ensure proper treatments are considered. These tests can be useful—especially when there are several variables in wastewater streams and resolutions/technologies—at pinpointing exactly what problem the plant is experiencing and taking out the guesswork when it comes to finding the ideal solution. Wastewater treatment plant operators often conduct treatability studies (at least to some extent) in their daily routines to ensure their process is running optimally, but sometimes problems exceed the normal day-to-day parameters experienced. Usually this occurs when a facility is unable to pinpoint what contaminant or issue is causing wastewater treatment upset, which would warrant a wastewater treatability study. In these situations, there is always some kind of unknown, and you would have to be 100% sure which contaminants are present and how they vary over time (and to what degree) in order to waive the study. For example, your facility might not need a treatability study if the company conducting the study has dealt with an identical situation or if your facility has a problem that keeps occurring and the designated solutions had previously worked. In these types of situations, the previously helpful solutions might be adapted to fix the issue moving forward. A more specific example is in the metal plating industry, which has complex steps for removing metals from wastewater prior to discharge. If people operating the plating baths change their process upstream from time to time, and the discharge from the plating bath goes to the wastewater treatment area, it could disrupt the treatment process and cause it to fail. This happens sometimes when the process team doesn’t regularly communicate with the wastewater treatment specialists. But typically, the complaint from a wastewater treatment operator is that the process is upset and he or she doesn’t know why, and this is where a treatability study is necessary to point out problem-causing contaminants and narrow down the technologies that can help. Many plants have complicated wastewater treatment handling systems and often work with local cities/municipalities/authorities for final treatment and disposal. 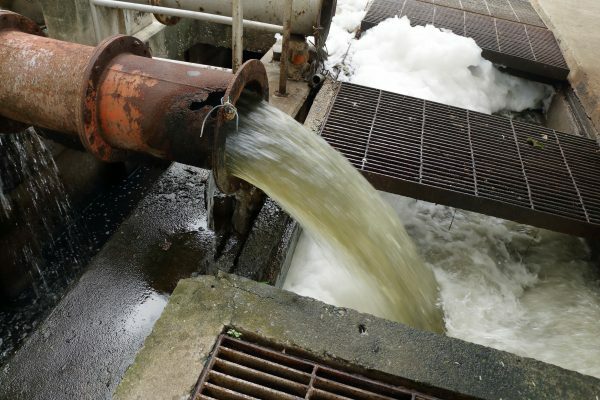 Sometimes the varying processes within the facilities generate different types wastewaters, and it can be tempting to treat the wastewater contamination issues as they surface. This can lead to more serious issues that cause wastewater treatment sequences to collapse, as one system often affects another. At this point, treatability studies are often necessary to get a complete and clear picture of what is causing the process and system upsets and to take out the guesswork in finding the right solution. Answering these two questions can be useful because your water treatment specialist can then steer the study in a direction that’s not duplicating previous efforts and will be able to help you explore better or newer technology you might not be familiar with. 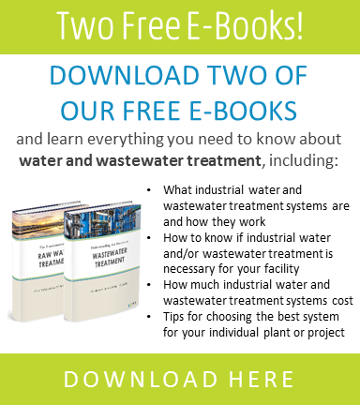 Wastewater treatment and system upsets are often unique, and in these cases, it’s important to trust your wastewater treatment specialist about performing treatability studies. They can help narrow down your needs more efficiently. If your wastewater treatment specialist recommends it, think of it as a way to fast-track your facility’s progress and ensure you’re taking the right steps now rather than trying to clean up a potentially bigger problem later. In the long run, this can save your facility the cost and time it would take to try and figure out what was going wrong and what the proper solutions would be. Treatability studies should always factor in local discharge regulations, whether you release waste to a local municipality or to the environment. For example, a plant that discharges to the local municipal sewer would need to meet guidelines outlined by the local municipal utility to prevent permit violations for discharging into the sewer. Other facilities will have federal, state, and local permits for discharging to a nearby waterway or watershed, including local rivers, streams, and lakes, etc. Companies used to offer treatability studies for free in an effort to sell their products, but more and more there are costs associated with these services. When treatability fees are imposed, these rates can vary, but they typically comprise costs for manpower, lab resources, and analytical work, so make sure you factor this in when you’re calculating your budget for the project. Costs can range from $1,500 for a one-day evaluation to over $40,000 for an extensive study of several applicable technologies, depending on the complexity of the contaminants, number of analyses, and requirements of the facility, so it’s important to ask about these potential costs up-front. There is no better way of ensuring a system can meet your facility’s needs than to conduct a wastewater treatability study in a laboratory setting. During these laboratory tests, SAMCO can analyze representative samples of your process and wastewater streams and evaluate the best technology applications for your custom solution. When necessary, SAMCO can also mobilize with on-site wastewater sampling, testing, and analysis and assist your facility in meeting State/National Pollutant Discharge Elimination System (SPDES & NPDES) and Industrial User/Significant Industrial User (IU & SIU) POTW permits.